Two years ago my fellow LW friend Ashwini Kumar Bhat decided to make a documentary on one of the last pristine river systems in India, Aghanashini. Our documentary will be a unique documentation of the amazing wonders this river hosts, as told by the river herself! Uncovering her story revealed to us many surprises. Some so spectacularly rare, that knowing about them let alone catching sight of them, was in itself an impossibility. 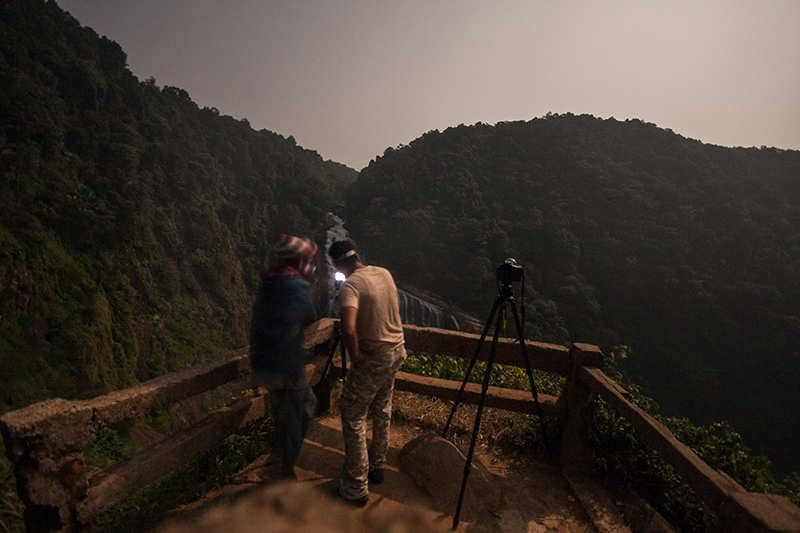 As a part of Unseen Landscapes, I have been researching on Moonbows for close to 2 years and during one of my reke trips to Unchalli Falls (Aghanashini’s most famous water falls) I saw the potential it held. Rainbows is nothing new and most of us would have seen atleast once in our lifetime at the the base of a famous waterfall. Ashwini has an excellent image of a double rainbow at Unchalli during day time. 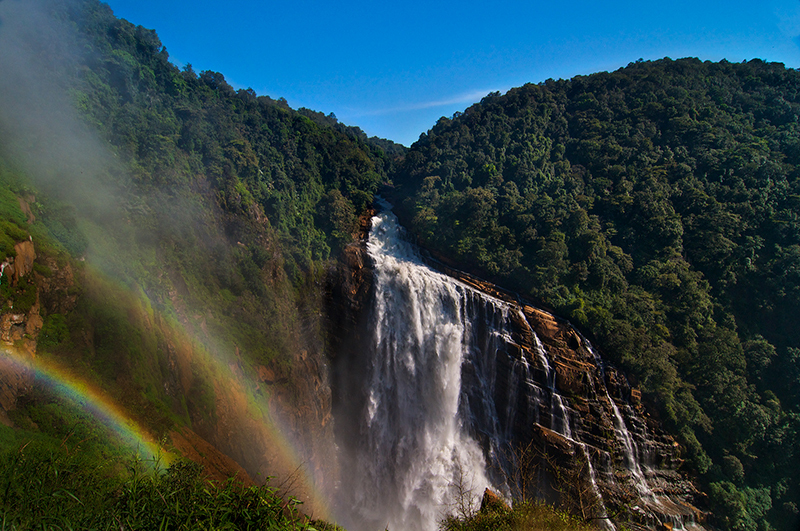 What many of us do not know however is that under the right conditions these waterfall rainbows can occur at night too, during a bright full moon. Moonbows as these are called are nothing but rainbows that happen at night.There are only 5 known waterfalls in the entire world which are known to favor the formation of moonbows. Unchalli is aligned at just about the right angle for a few nights every year to favor its formation. The angle along the horizon, at which the full moon rises plays an important role along with the cloud cover. The quantity of water flow along with the amount of “spray mist” generated by the plummeting water, is another key factor. All these factors have to be in sync, and when they do, there’s MAGIC, in the form of a Moonbow! However this magic is very subtle. The moonbow is hardly visible to the naked eye its colours are so faint, that only a sensitive camera with a fast lens will be able to capture its colors. The presence of stars in the image is also crucial, as they add in the flavour of the night. 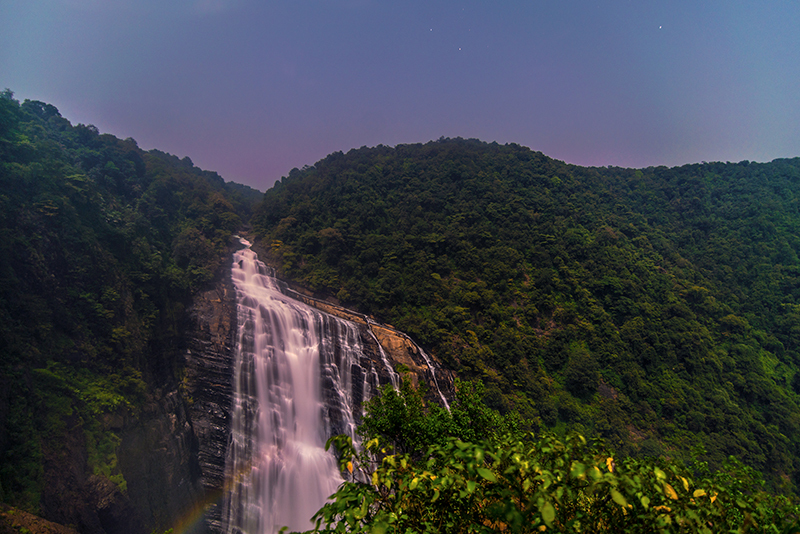 After planning and execution spanning over two years, I finally got a moment in time, that captured the first ever Moonbow from Asia! 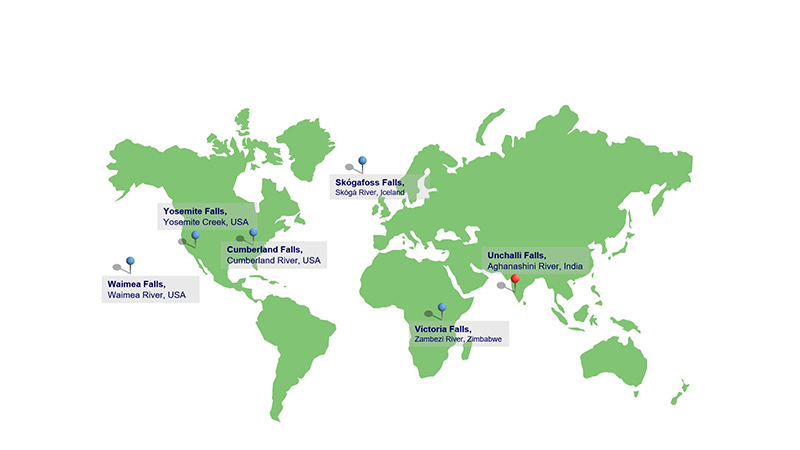 Aghanashini is now the sixth waterfall in the world listing this elusive wonder! !